"I would like to give gib kudos to the staff of Gold Star! They are very friendly and very helpful. I would be lost without Rosemary, she is great and so is Gold Star!" 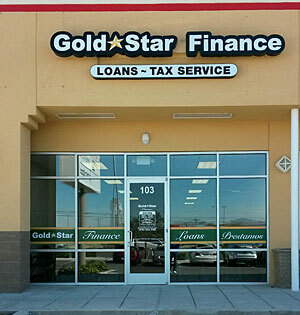 Gold Star Finance is proud to be a part of the El Paso TX community, providing short term consumer loans within the El Paso TX area. Stop by our Zaragoza Road location so we can get to know you better.